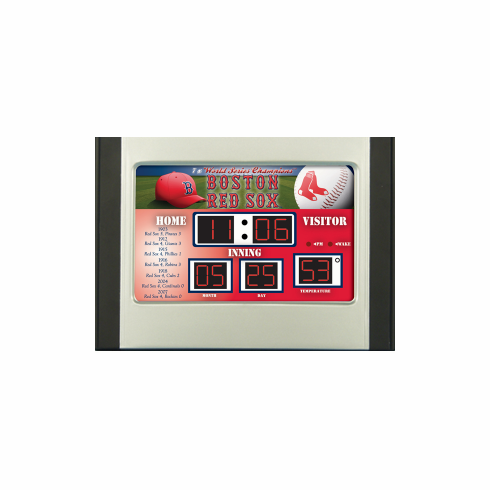 These mini-sized scoreboard alarm clocks are perfect for an office or bedroom. These unique alarm clocks show the time, date and temperature, and feature several alarm settings. This electric plug-in clock has quickly become one of our best sellers. Measures appx. 11" x 5" x 8.5".